What do you get when you whisk together some powdered peanut butter and coconut aminos? A little slice of heaven for your salad, that’s what! This is a single-gal recipe, so feel free to double, triple or quadruple for bigger salads and for the family. This can be used as a dressing, or as a Thai dipping sauce for chicken or shrimp skewers. 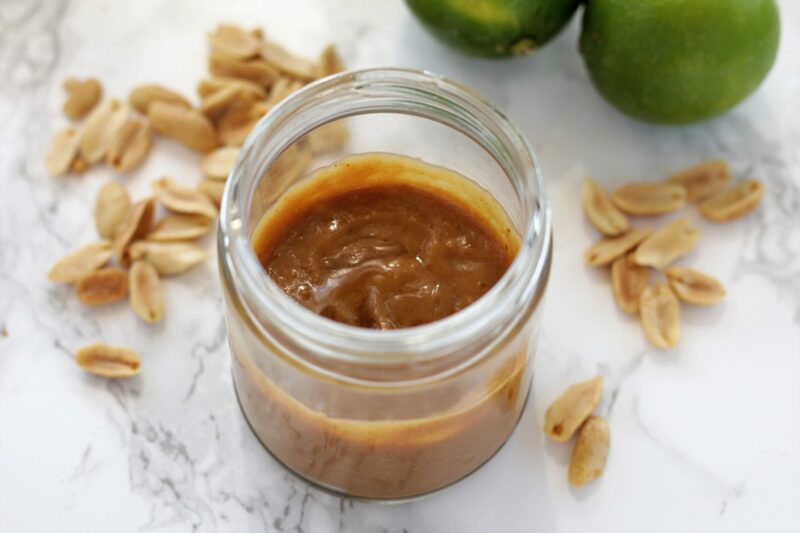 It tastes rich and seemingly full of all the fat that comes with using real peanut butter, but it actually doesn’t contain a single drop! At only 38 calories per serving, you can’t NOT add this to your repertoire. Use your favorite veggies for a unique poke bowl! How does Chalene use her creative sauce? 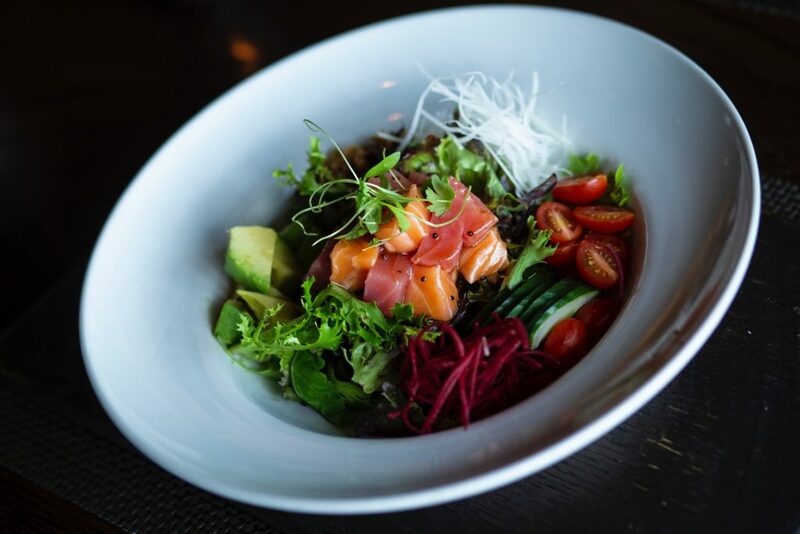 Tossed with homemade poke bowls that contain 1/4 cup of brown rice or Miracle Rice, 1 cup chopped lettuce, some baby tomatoes, bell peppers or shredded beets and some chopped sushi-grade fish. Top with some avocado and nori, and voila! 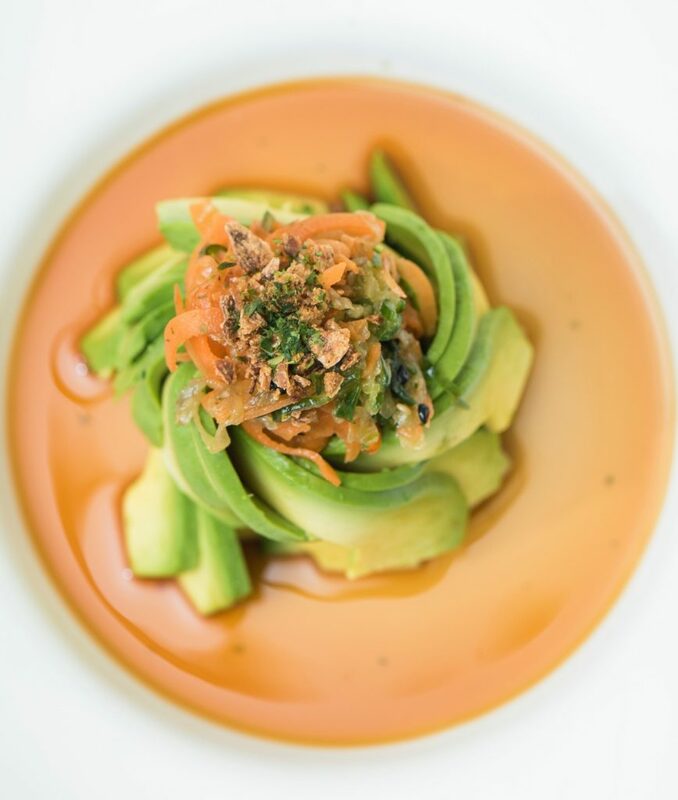 If you’re feeling fancy, flower an avocado and fill the center with finely chopped sushi-grade tuna and minced Persian cucumbers. Grate some carrots on top and sprinkle with roasted peanuts, crispy onions and kelp flakes. Drizzle with the dressing so it looks like it came from a fine dining restaurant. For over 250 more delish and easy recipes that work with your body, check out the 131 Method! Be sure to comment below if you try the dressing! Whisk all ingredients together and drizzle over a green salad or poke bowl.